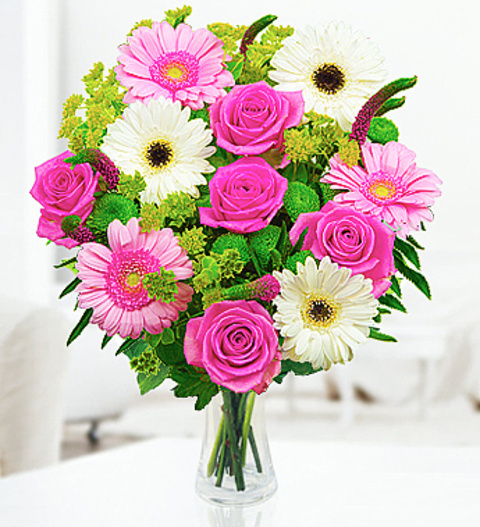 Our Sweet Pink bouquet is a beautiful arrangement with fragrant roses, gerberas and germinis complimented with feeling green blossoms and alchemilla. Each bouquet is expertly hand tied by our talented florists. The Sweet Pink bouquet is simply perfect for all occasions and comes with a free box of Belgian chocolates. Sweet Pink is available for UK next day delivery.